Finalists Portugal and Italy each supply four players to the starting XI in the official Team of the Tournament. U19 EURO winners Trincão Francisco and João Filipe were also winners in the race for the golden boot at the tournament, finishing tied at the top with five goals. "I'm sure that when I get home, I'll be a better referee than when I arrived here." - We meet U19 EURO final referee Juan Martínez Munuera. Fourteen matches will be televised throughout the world from the finals in Finland. Holders England, France, Italy, Norway, Portugal, Turkey and Ukraine have won their elite round groups to join hosts Finland. Holders England will face FYR Macedonia, Hungary and Latvia in this spring's elite round while Germany and Netherlands are in the same group, as are Spain and France. The 2018/19 UEFA European Under-19 Championship qualifying round draw has been made in Nyon, starting the road to the July 2019 finals in Armenia. Holders England and debutants Kosovo are among the 26 teams that have advanced from the 13 groups to join top seeds Spain and Portugal in the elite round draw. Debutants Kosovo will take part in the first match of 2017/18 qualifying as 52 teams – including holders England – begin their bids to reach next summer's finals in Finland. UEFA.com's photographer casts his expert eye over the eight-team tournament in Georgia and picks out a varied selection of some of his favourite pictures. UEFA.com picks out ten players who have caught the eye at the finals in Georgia, including Mason Mount and Ryan Sessegnon from winners England. Victorious England pair Ben Brereton and Ryan Sessegnon had extra reason to celebrate after coming joint top of the finals' scoring chart with Joël Piroe and Viktor Gyökeres. England became only the seventh team to win the UEFA European Under-19 Championship and the first new name on the trophy since 2013 victors Serbia. Portugal 1-2 EnglandLukas Nmecha's strike gave England a first U19 EURO title after Easah Suliman's opener had been cancelled out by Dujon Sterling's own goal. LiveThird time lucky in final for Portugal and England? Portugal and England have both lost two Under-19 finals as they prepare to meet in the 2017 decider with one team guaranteed to lift the trophy for the first time. Portugal 1-0 NetherlandsMidfielder Gedson Fernandes scored the only goal of a tight first semi-final midway through the first half to take Portugal into the Under-19 final for the third time. The four coaches who have guided their teams into the U19 semi-finals all declared themselves happy with progress in Georgia, but all expect stiffer challenges ahead. The venues and kick-off times for Wednesday's semi-finals have been confirmed, with Portugal playing the Netherlands at 15:00CET and England-Czech Republic at 18:00CET. England 4-1 GermanyBen Brereton and Ryan Sessegnon each scored twice as England won Group B to reach another semi-final, ending their opponents' hopes. Netherlands 1-1 BulgariaThe Netherlands will face Portugal in the last four after finishing Group B runners-up, despite Bugaria claiming a first ever Under-19 EURO goal and point. Czech Republic 2-0 GeorgiaCaptain Ondřej Šašinka and Libor Holík both scored from corners as the Czechs denied the hosts to claim second place in Group A.
Portugal 2-2 SwedenGroup A winners Portugal come from 2-0 down to draw with eliminated Sweden thanks to a late João Filipe penalty. Two of England, Germany, the Netherlands or Bulgaria will join Portugal and the Czech Republic in the semi-finals when Group B ends on Sunday. We explain who needs what. Germany 3-0 BulgariaGermany revived their Group B hopes with an emphatic defeat of ten-man Bulgaria. England's Ben Brereton came off the bench to score the only goal against the Netherlands in Tbilisi and make it two wins from two in Group B for Keith Downing's team. For the second game in a row, Rui Pedro scored the decisive goal as Portugal defeated the Czech Republic 2-1 to become the first side to reach the 2017 semi-finals. Goals in the first 31 minutes from Giorgi Kokhreidze and Giorgi Chakvetadze gave Georgia a valuable 2-1 victory against Sweden, their first win in an Under-19 finals. Striker Joël Piroe scored a fine hat-trick in the second half as the Netherlands recovered from Aymen Barkok's opener to defeat Germany 4-1 in Tbilisi in Group B.
Mason Mount smashed England in front inside 60 seconds and Ryan Sessegnon added another early in the second half as Bulgaria were beaten in the first Group B game. Rui Pedro's second-half penalty was the only goal of the game as Portugal edged past hosts Georgia despite finishing with ten men after Gedson Fernandes' red card. The Czech Republic had to hold off a determined late Sweden surge to win the opening game of the finals, Daniel Turyna's double either side of half-time securing a 2-1 win. UEFA.com revisits past Under-19 tournaments to discover how its rising stars fared in their careers, and picks out a few other alumni who also made a big impression. UEFA.com profiles eight rising stars to look out for in Georgia, including several who have already made an impact at club level and one who broke through aged only 15. England, Germany, the Netherlands and Bulgaria are all anticipating a tight contest in the battle for two U19 EURO semi-final spots, with "high-level games" to decide it. Hosts Georgia are joined by the Czech Republic, Sweden and Portugal in an even-looking Group A, with all four coaches predicting the section will go to the wire. Who is involved? How can I follow it? Where can I watch the games? UEFA.com answers all your UEFA European Under-19 Championship questions. The 2017 UEFA European Under-19 Championship in Georgia gets under way on Sunday 2 July. Find out here how to watch the tournament where you live. Since firing France to Under-19 glory last summer, Kylian Mbappé has taken Europe by storm; now a title-winner with Monaco, he looks back on his time in Germany. Having retired as a FIFA World Cup, UEFA Champions League and serial Bundesliga winner, former Bayern and Germany captain Philipp Lahm looks back on the 2002 Under-19s. 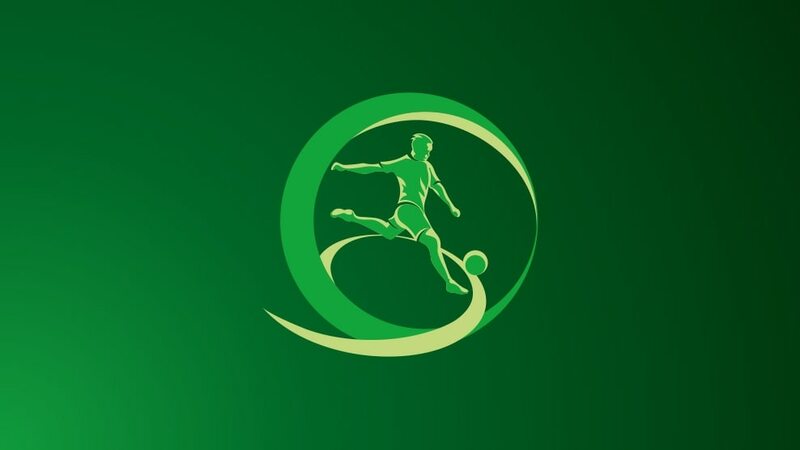 The UEFA European Under-19 Championship take place in Georgia from 2-15 July; get the inside line on the tournament and the eight teams involved with the official programme. A first-half goal from Dominic Calvert-Lewin proved enough for England to beat Venezuela in the FIFA U-20 World Cup final and claim their first global title since 1966. July's schedule has been set with hosts Georgia playing in the first televised game against Portugal and other group matches including England v Germany. Hosts Georgia have been drawn with the Czech Republic, Sweden and Portugal in Group A for July's finals while Germany, England, Bulgaria and the Netherlands are in Group B.
Eintracht Frankfurt "have a gem in their ranks" in Germany Under-19 midfielder Aymen Barkok, says the Bundesliga club's coach Niko Kovac – UEFA.com profiles the 18-year-old. England, Germany, Bulgaria, Czech Republic, Portugal, Sweden and the Netherlands won their elite round groups to join hosts Georgia in the Under-19 finals in July. Holders France will meet potential finals debutants Israel and Bosnia and Herzegovina after the elite round draw was made, with seven places in Georgia next July on offer.